Once out of school, our Young Adult group (18-35) faces some of the greatest life issues: what will I study? What career should I follow? Dating & falling in love! At best, parents have become consultants at this stage of life, and the Church becomes a resource and a place where they can explore the world around them together with trusted peers and others maybe slightly older who can share learnings without pointing a finger. 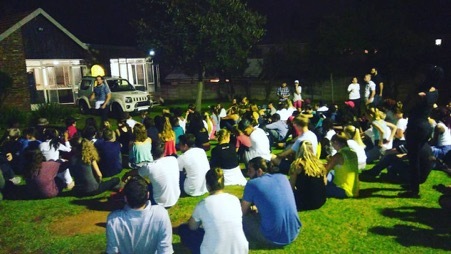 Home Groups which meet in the evenings during the week are very popular among Young Adults, facilitating intense discussion and challenging old assumptions. The Home Group becomes a safe place within which to share some of life’s big challenges, while growing in spiritual depth. Outreach activities create an opportunity to contribute meaningfully to the world – something which is important to those who want to “make a difference”. Sunday Night church services are targeted towards and actually led by our Young Adults, with worship and preaching aligned with the needs of the questioning generation. Our free on-site Gym provides a good place to hang out and stay fit, while other sporting activities (such as cycling) provide opportunities for mixing across generations and benefiting from informal mentoring, without judgement.